Few traditions associated with Senate furniture are as intriguing as the "candy desk" on the floor of the Senate Chamber. Although the desks on the Senate floor are cared for by the Senate, and not the Architect of the Capitol, they provide a fascinating story to share with friends. In 1965, Senator George Murphy of California originated the practice of keeping a supply of delicious candy in his desk for his fellow senators. In every Congress since that time, a candy desk has been located in the back row on the Republican side (see diagram above, denoted by the yellow desk location #80) of the aisle and adjacent to the chamber's most heavily used entrance. During the 114th Congress, the candy desk is assigned to Senator Pat Toomey (R-PA), who plans to provide candy from his home state. 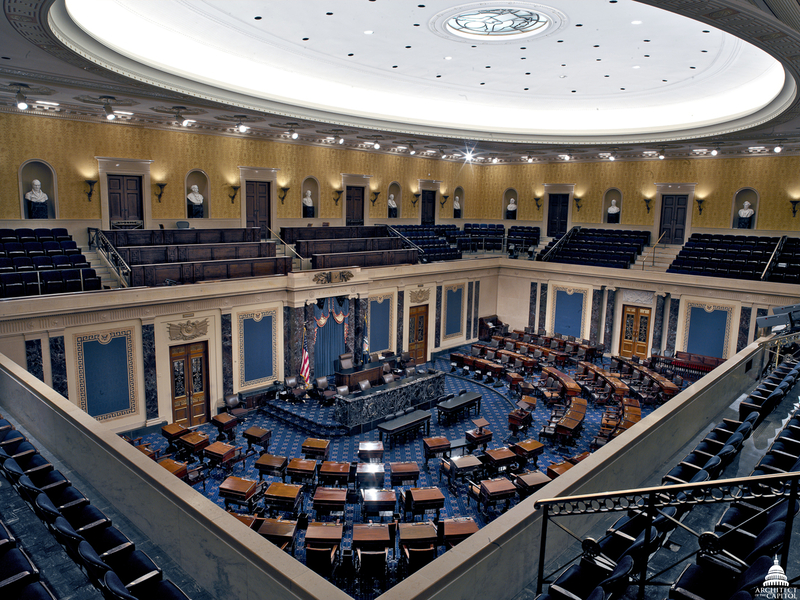 Photo of the Senate Chamber from 2013. Editor's Note: This post has been updated to reflect the correct list of senators and their states.